Fish oil has been recognized by experts and dog owners to be be beneficial for dogs! It was first used to treat allergies in dogs, but now has been proven to have other uses and advantages. It can help prevent and remedy health conditions, such as high cholesterol, kidney diseases, and arthritis. Because of the many benefits it brings, a lot of dog owners are on the hunt for the best fish oil for dogs. 1. Fish Oil Source: What fish? EPA and DHA are converted types of omega 3 that are found in some fish. The combination of two bring benefits such as slowing down of age-related memory loss, support learning and attention, and promote healthy brain function and well-being. They also promote metabolism of cholesterol and dietary fat, reduce risk of obesity, and help maintain a healthy triglyceride level. When choosing a fish oil for you dog, it is better to go for those that have a higher ETA and DHA content. 2. Fish Oil Source: Farmed Fish or Wild Caught? Whether the fish were farmed or wild caught, will tell you so much about the quality of the fish oil. Fish that are raised or cultured in factory farms are usually overcrowded and polluted. They are also usually fed with fish pellets that may bring concentrated toxins in their bodies. Many fish farms also incorporate antibiotics into the water. Researchers analyzed and compared data from both farmed fish and wild caught salmon from different regions around the world. They found out that farmed salmon contained dangerously high levels of polychlorinated biphenyls (PCB’s) that are very toxic and carcinogenic. They also found many other harmful toxins. Choose fish oils that use wild caught fish that had grown up in their natural environment. They are less contaminated and have little to no toxins. A good fish oil will market their content of omega 3 and omega 6 fatty acids. 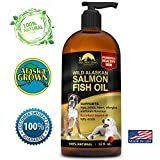 These are the most important to look for in fish oil, because obviously, these fatty acids are most probably the main reason why you are giving fish oil to your dog. Many other good fish oil also include additional vitamins. Although these may be a bit more expensive, the benefits of additional vitamins will most likely outweigh the cost. It has been a common dilemma for dog owners if they should give their dog fish oil in the form of liquid or capsule. There are three considerations that must be taken into account when making a decision: 1) the preference of your dog, 2) the needed dosage or strength, and 3) the absorption. Liquid fish oil is ideal for those dogs that may have a varying dosage requirement. There is no added hassle of cutting capsules when you need a lower or a higher dosage of fish oil. It may be difficult to adjust the serving size or the dosage of fish oil capsules. Liquid fish oil can be absorbed faster by your body. It takes only around 1 to 4 minutes for your body to absorb the liquid fish oil. Fish oil capsules have to be broken down by the body first before it gets absorbed. Thus, it may take about 30 minutes for the body to assimilate capsule fish oil. Based on the discussion above, liquid fish oil is better when it comes to flexibility and efficiency. Most dog owners also claim that their dogs prefer liquid fish oils than capsules, as perhaps they are easier to intake. If you want an easier and more successful attempts of giving fish oil to your dog, a good smell and an appetizing taste are a must. Read reviews about what other dog owners and other canines think about the smell and taste of certain brands of fish oil. Always check the labels to make sure that the fish oil is free from harmful toxics, such as mercury. Not all fish oil is veterinarian-approved or veterinarian-recommended, but, good fish oil products are. This is one great assurance that the fish oil is medically tested and proven to be safe for dogs. If some fish oil products do not explicitly say that they are veterinarian-recommended, do a quick but thorough research about what veterinarians say about it. PET-MINS boasts its K-9 Supplements EPA/DHA Omega-3 Softgels that are made with pure and natural fish oil. Made of Anchovies, it claims to be packed with EPA and DHA, which are both important for a healthier immune and cardiovascular systems, and inflammatory response. Its Omega-3 content is also great in helping improve the overall health of dogs, especially in reducing itch, joint pain, and inflammation. 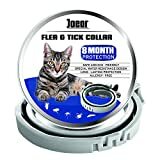 It also promotes the dog’s shinier coat and a healthier skin. This fish oil softgels are ideal for senior dogs that may already have a weakening immune and skeletal systems. Because they are more prone to infection, and to joint and bone problems, this PET-MINS fish oil is great for them. Pure North claims that dogs love their Atlantic Salmon Fish Oil, whether incorporated in their food or mixed with their water. It may be odorless for human beings, but they are in fact deodorized. This gives the oil a pleasant smell that dogs love. It also comes in a pump top container, for easier and cleaner serving or application. This fish oil are made from wild caught Atlantic salmon. It contains omega fatty acids (Omega-3 and Omega-6) that are research-proven to bring significant improvement in dogs’ overall health. This Pure North fish oil supports the joints, the heart, and the immune system. It also promotes a shiny and thick coat of dogs, that will be more noticeable when this fish oil is regularly used. Made with high quality ingredients, the Golden Trail Supplies Wild Salmon Fish are packed with Omega 3, 6, and 9, Vitamins B3, B5, B6, and B12, potassium, and calcium. These fatty acids and additional nutrients have multiple health benefits, such as an improved eyesight, brain, and skin. This fish oil is made of wild salmon from the Alaskan waters. It also does not contain GMO, dairy, soy, additives, and preservatives. Golden Trail Supplies claim that their wild salmon fish oil is not only healthy, but is also delicious and has a very mild fish smell. They do not guarantee that all canines will like this product, but most dogs love the taste of this wild salmon fish oil. It is packaged in mess-free pump bottle for a longer shelf life, and for easier and cleaner usage. Bonnie and Clyde Pet Goods boasts its Wild Omega-3 Fish Oil that is beneficial for your dog’s health. It claims to contain EPA and DHA that are 22% more than usual salmon oils. Aside from the Omega-3 fatty acids that help support joint, heart, and skin of dogs, this fish oil also contains Sunflower vitamin E, an antioxidant that promotes a healthy heart, liver, muscles, and nerves. It features a gentle water vapor deodorizing that removes the foul fishy smell, but leaves behind the nutrients and the deliciousness of the fish oil. The bottle is tightly sealed, and comes with a pump for easy usage. This Wild Omega-3 fish oil is certified to be free from toxins and heavy metals, as it was tested by the International Fish Oil Standards program. Benson’s Best claims to provide 43% more Omega-3 fatty acids in their fish oil softgels, compared to typical salmon oil. It uses wild caught Iceland anchovy, which has high levels of EPA and DHA. This makes this softgel packed with more health benefits, such as to relief dog allergies and joint pain, to reduce inflammation, to improve mobility and posture, to boost the immune system, to promote a healthy heart and kidneys, and to improve coat and skin. The Benson’s Best Omega-3 Fish Oil is safe and veterinarian-recommended. It was tested to be free from mercury and other toxic contaminants. It comes in softgel capsules, which makes it easier for the body to digest and absorb. With all considerations taken into account, the best fish oil is Benson’s Best Omega-3 Fish Oil﻿ Softgels. It is made from wild caught anchovies that have high percentages of EPA and DHA. This makes it less or free from toxic contaminants, and also packed with many health benefits. It was tested to be free from harmful chemicals. It has also no fishy smell! It is in softgel capsule form, which makes it easy to soft for intake, and the liquid inside the softgel makes it easy to be absorbed by the body. Share this post to your friends, and share the word about the best fish oil for dogs! We would be also happy to hear from you; leave us a comment below.